Last Christmas I received the Atmos Fit Elite as a gift. It’s a fitness watch that helps the user tell how many steps he/she has taken as well as know a person’s heart rate monitor one’s sleep. I remember my sister telling me that she wanted to buy this from Kimstore and it was amusing that she was the one who wanted it, but I was the one who got it. I decided to charge it, download the app and give it a try. The watch is accurate when taking the number of steps I make and helps me monitor my heart rate, but I’m not sure about the sleep cycle monitoring. It seems to think that I don’t sleep enough even when I do. I was not satisfied with that feature, so I decided not to wear it while I slept. 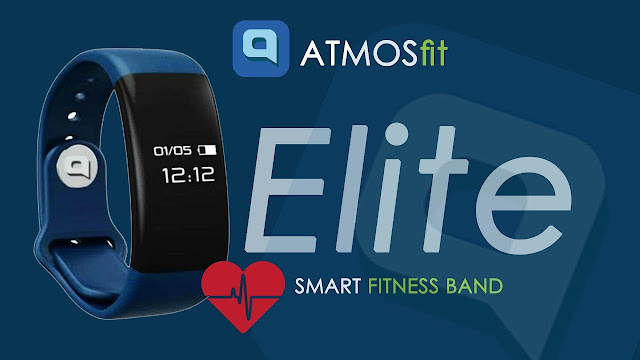 I’m not used to wearing a watch, so the Atmos Fit Elite felt uncomfortable and bulky to me. It doesn’t fit with some of my outfits (I love wearing dresses) so I don’t get to wear it as much as I would like to. There are other features to the watch such as call and text notifications (if it is paired to your phone via Bluetooth) and a posture alert for when you are (supposedly) slouching – although there were times when I was not slouching at all and it still kept on vibrating to the point that it was getting annoying. There is also a find my band feature on the app for when you can’t find your Fit Elite, although I haven’t had the need to use it yet. Battery life for this gadget is pretty good. I had gone a week without having to recharge it when I first got it. I don’t know if that is long enough since I haven’t tried any other fitness watches/bands other than this one. I would have loved to have a longer charging cord with this one. Most of our outlets are near the floor so I have to keep the watch at floor level to charge it (which, because of my germophobe-ish eccentricities, is really annoying). If I were to rate this watch I’d have to say it’s just OK. Nothing to rave about but still a useful gadget to have considering its price. I think that it’s worth the cost but if you want to have more features on your fitness band/watch, it would be better to look at other brands because this is just a basic one.